School enrolment in Khan Uul is below the national average, as most families cannot afford the cost of school supplies and uniforms. In addition, parents don't always understand the importance of education, which means children are not encouraged to attend school. Poorly trained teachers, overcrowded classrooms, and a lack of water, toilets, and heating make it especially difficult for children to study. There are few teachers who are trained to instruct children with disabilities, so they often do not get the necessary support to reach their full potential. 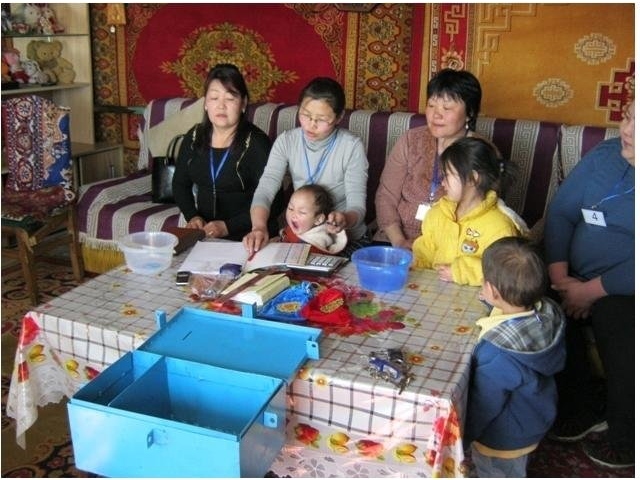 Khan Uul has inadequate health services for its population, and health care providers have limited knowledge and skills. The alternative measure of taking a 90-minute bus ride to the city centre for health services is too costly for most families. There are no medical specialists in the area, equipment desperately needs to be upgraded, and tests can be expensive. All these factors negatively affect children's health and wellbeing. In Khan Uul, extreme poverty means that families rarely receive regular amounts of nutritious food, leaving children vulnerable to malnutrition and disease. A typical diet does not include many vegetables, consisting instead of potatoes and wheat noodles, which lack essential micronutrients, vitamins, and minerals. Many children in Khan Uul develop anemia (from a lack of iron) and rickets (from a lack of vitamin D). Malnutrition weakens children and makes it difficult for them to study in school. Children in Khan Uul are exposed to unclean drinking water and poor sanitation. Many families do not have proper toilets. Clean water is available for purchase water, but the cost is often too high for most families. Even where there is centralized water, drinking water still needs to be boiled, but many community members don't know about this practice. Under Soviet leadership, Khan Uul was an industrial district, but this economic base collapsed after the fall of communism and the breakdown of industrial infrastructure. Community members now lack the skills to find sustainable work, which is already scarce. This has pushed children into the workforce to help their families, where they work as bus assistants, haul coal, or even race horses. The unemployment rate for working-age people in Khan Uul is 45%. An influx of people from rural areas has heightened the demand for the few existing jobs. It is difficult to travel to the city centre for work, as a bus trip can take 90 minutes each way, and is expensive. 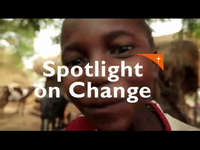 A lack of local income-generating activities for parents affects their children's health and educational opportunities. The Khan Uul (pronounced Con-ool) community is located 46 kilometres from the centre of Ulaanbaatar, Mongolia's capital city. 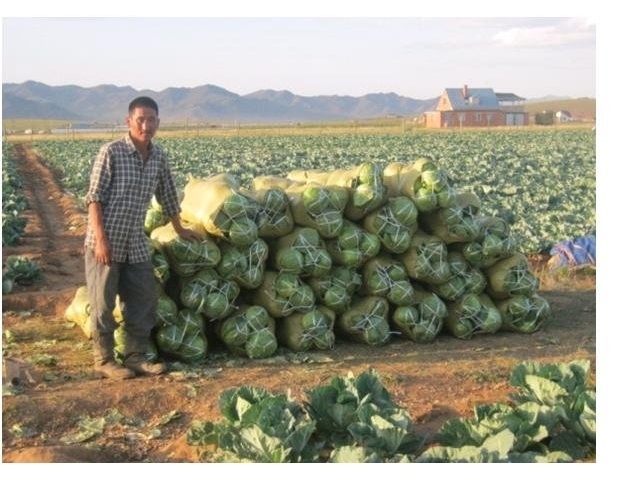 Khan Uul is the second-largest of eight districts in Ulaanbaatar, as well as one of its poorest areas. 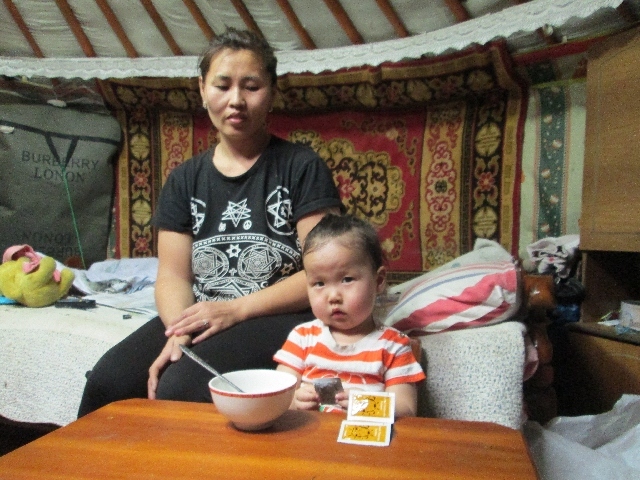 Most families here live in cramped quarters in gers, the traditional Mongolian round felt tent. Basic services are in short supply, which means that families face unhygienic and unsanitary conditions. 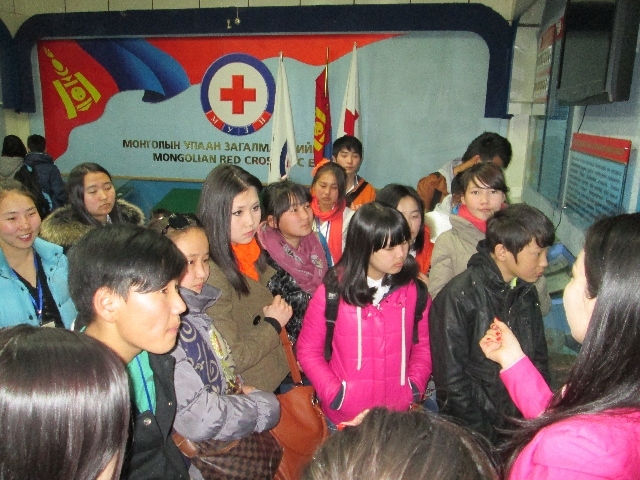 Many people in this community relocated from rural areas and cannot afford to register in Ulaanbaatar. As a result they are ineligible for social services and benefits. Almost 40% of families in Khan Uul live in extreme poverty, often on as little as $5 a month, creating challenging conditions for children's healthy development. Reduce dropout rates among school-age children. Ensure children have the necessary supplies to succeed in school. Educate community members about the importance of education and increase parents participation in school-related activities. Increase families access to health centres and health care services. Increase families knowledge about and access to nutritious and healthy meals. Construct new and repair existing wells to provide families with safe, clean water. Establish more diversified income-generating activities to increase family income. Diversify crops and market opportunities in the agricultural sector. Train families on managing household income.